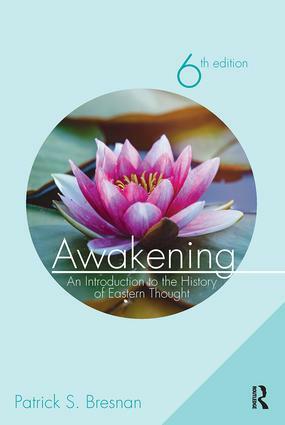 Awakening: An Introduction to the History of Eastern Thought engages students with lively anecdotes, essential primary and secondary sources, an accessible writing style, and a clear historical approach. The text focuses primarily on India, China, and Japan, while showing the relationships that exist between Eastern and Western traditions. Patrick Bresnan consistently links the past to the present, so students may see that Eastern traditions, however ancient their origins, are living traditions and relevant to modern times. Updates to the Sixth Edition include a new introduction as well as new approaches to problem areas throughout the text, but with special emphasis in Chapter 5 (Ashtanga Yoga), Chapter 10 (Basic Teaching of Shakyamuni Buddha), Chapter 12(Mahayana Buddhism: Madhyamaka section) and Chapter 18 (Chan Buddhism: regarding the relationship of Chan Buddhism to Zen Buddhism). In addition, all references and source material have been brought up to date. The companion website includes two new videos and many new photos, produced by the author. • New photos and two newly produced videos prepared by the author for the book’s companion website: http://patrickbresnan.com/.